Completed the story of Wei. Completed the story of Wu. Completed the story of Shu. Completed the story of Jin. Completed the stories of Wei, Wu and Shu. Completed the Battle of Chibi with one of the forces in Story Mode. Completed the Elimination of Dong Zhuo with one of the forces in Story Mode. Completed the Yellow Turban Rebellion with one of the forces in Story Mode. Completed all stages in Conquest Mode except for downloadable battles. Unlocked all capital cities in Conquest Mode. Completed all of the Wei Alliance Battles in Conquest Mode. Completed all of the Wu Alliance Battles in Conquest Mode. Completed all of the Shu Alliance Battles in Conquest Mode. Completed all of the Jin Alliance Battles in Conquest Mode. Increased your fame to 1 million or more in Conquest Mode. Increased your fame to 500,000 or more in Conquest Mode. Increased your fame to 100,000 or more in Conquest Mode. Maxed out your bond with every officer in Conquest Mode. Maxed out your bond with 5 or more male officers in Conquest Mode. Maxed out your bond with 5 or more female officers in Conquest Mode. 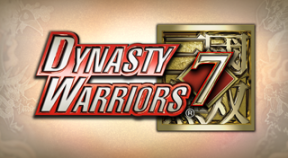 Made all Dynasty Warriors officers available as sworn allies in Conquest Mode. Answered all of the Scholar's quiz questions correctly in Conquest Mode. Completed 10 or more Legendary Battles in Conquest Mode. Unlocked 7 capital cities in Conquest Mode. Unlocked a capital city in Conquest Mode. Correctly answered 5 of the Scholar's quiz questions in a row. Completed a stage in Conquest Mode. Unlocked all possible items in the gallery. Obtained all weapons except for downloadable ones. Unlocked all officers' voices in the gallery. Obtained all types of wallpaper. Heard all conversations in Story Mode. Learned all skills with any officer. Obtained all weapons of a single type, except for downloadable ones. Obtained a total of more than 1 million gold over the course of the game. Achieved a total of more than 100,000 K.O.s over the course of the game. Defeated 1,000 or more enemies in a single battle. Defeated 3,000 or more enemies in a single battle. Used healing items a total of 100 or more times over the course of the game. Completed all lessons in the tutorial. Completed a battle without taking any damage. Completed a battle within 1 minute. Defeated Lu Bu for the first time.